Depending on when you were born and the tastes of your parents, you may not even know what stained glass is unless you’re a church goer, because it’s an art form that you don’t really see in modern homes or in the collections of newer generations of humans. Being born in 1980 to parents who had a knack for collecting antiques, I was made well aware of stained glass art early on, and I do still appreciate it to this day. 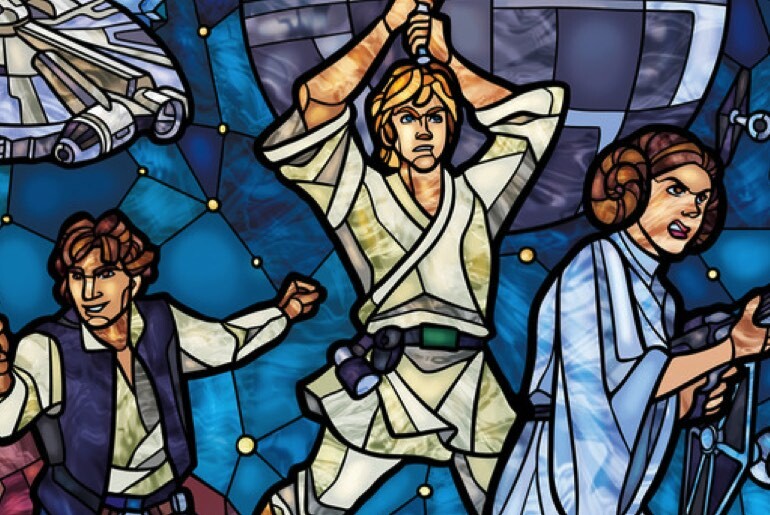 That’s probably why this Star Wars themed stained glass art piece from Nenuiel on DeviantArt caught my eye while scanning the Internet for some Star Wars fan art to share. 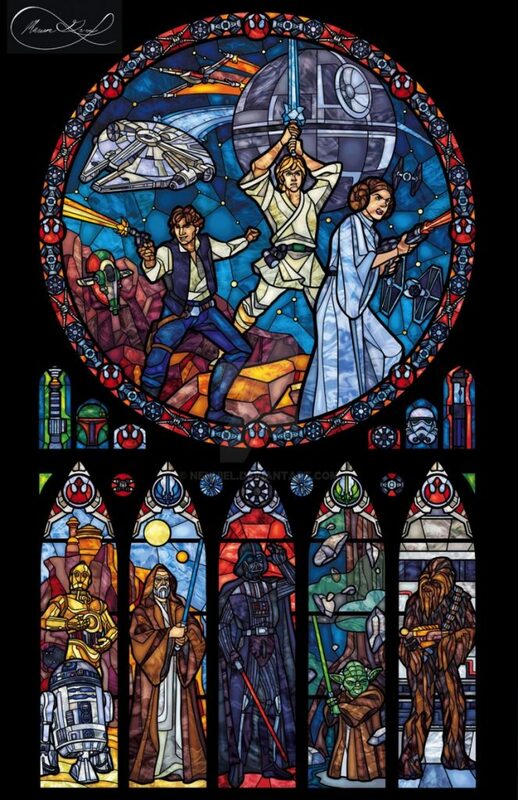 When I first saw it I dreamed of walking into a Star Wars church that practiced the Force, or having a sun room fully decked out with similarly styled stained glass. It would be my own Jedi temple of sorts, a place to meditate and feel the Force flow through me. I just love the piece, it looks so vibrant and colorful that it just makes me smile. Unfortunately, it is just an art piece and not actual stained glass. It’s also no longer for sale, which stinks, because it would have still made for an interesting piece to hang on your wall. Hit up Nenuiel’s gallery to see her other fantastic geek themed stained glass art pieces!